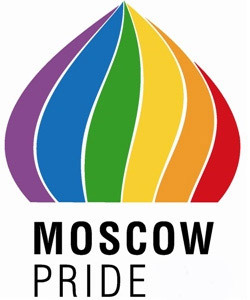 The Commissioner for Human Rights in Moscow, Alexander Muzykantsk, has suggested that Russian gays and lesbians should hold gay Pride marches in Germany, instead of their own country. But instead, he suggested, they could hold them in Berlin, Germany’s capital with the help of the city’s mayor. He said: “In recent years, Berlin became de facto the world capital of sexual minorities. Gay Pride marches have had a troubled history in Russia, and especially in the capital of Moscow. Although other cities in the country are seen as more tolerant, attempts to hold gay events in the city have generally ended in violence. In 2007, marchers such as gay rights campaigner Peter Tatchell were beaten by neo-Nazis and there were claims of police brutality at a brief march this year. Responding to Muzykantsk’s comments, Russian gay rights campaigner Nikolai Alekseev told GayRussia.ru: “What the ombudsman suggests remind me when in 1920 the Soviet deported the most prominent Russian philosophers and historians in what was called the ‘philosophical boat’, just because they did not fit into the ideological standards of the Soviet ideology. But he added he was not surprised at Muzykantsk’s suggestion and said that ombudsmen risked the sack for speaking out on sensitive issues.